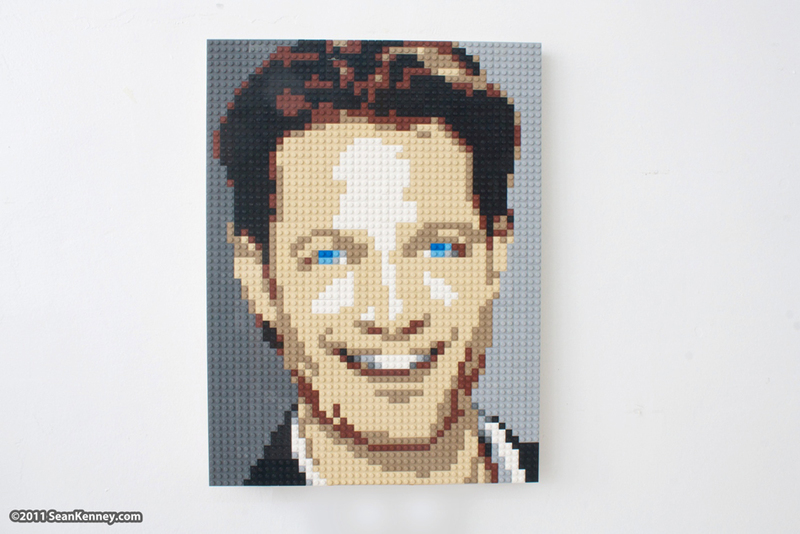 Nate Berkus is the host of The Nate Berkus Show . I was asked to create a mosaic of guest Patricia Heaton's house, which was presented to her as a surprise during the show. As always, my portraits are "hand drawn" and not designed by computers. (because where's the fun in that?) they are mounted to a wooden backing similar to a canvas painting and can be shipped all over the world. See yourself in LEGO bricks! Commission a custom portrait.